Nick Brennan’s 17-year career as Tripswitch has seen numerous successes and highlights, from New York Times reviews to BBC Radio 1 airplay, live performances all over the world, writing music for a major video game, ad campaigns, music for BBC’s Blue Planet - but 2018 has seen him take things to an even higher level. The veteran Chillout-Electronica “producer’s producer” has consolidated his rising position in the Progressive House world through a massively busy year of original productions, remixes, DJ performances, and collaborations with some of the biggest names in the business, including his old friend Nick Warren and most recently El Maestro, Hernan Cattaneo. Rewind to 2001… Nick’s break came when he was signed to Youth’s Liquid Sound Design label, leading to the release of the seminal album ‘Circuit Breaker’ in 2005, widely held up as a classic in the Chillout-Downtempo genre. The album was honoured with numerous high-rated reviews in publications such as DJ Mag and iDJ Magazine, garnered praise from Anoushka Shankar in the New York Times, and included the massively popular ‘Roll Your Own’, which featured on numerous compilations, including Nick Warren (Global Underground 30: Paris), Jose Padilla (Café Solo) and Claude Challe (Buddha Bar). In the years that followed, Nick built on his success with releases on many labels, numerous festival and club appearances all over the globe, and the launch of his own label Section Records in 2010, with his 2nd long-player ‘Geometry’. In the years that followed, Nick established a reputation as a go-to remixer for those looking for that elegant downtempo angle for their release, supplying cinematic treatments for the likes of The Orb, System 7, Kaya Project, Abakus, Adham Shaikh, Joey Fehrenbach, Seb Dhajje, Noir and many more. The 3rd full-length Tripswitch album, ‘Vagabond’, saw a quantum shift in Nick’s musical path. Released in June 2016 on the mighty Danish behemoth Iboga Records, Nick used the album as an opportunity to re-launch himself into the world of Progressive House, the very music that drew him into the dance music scene in the early 90’s. 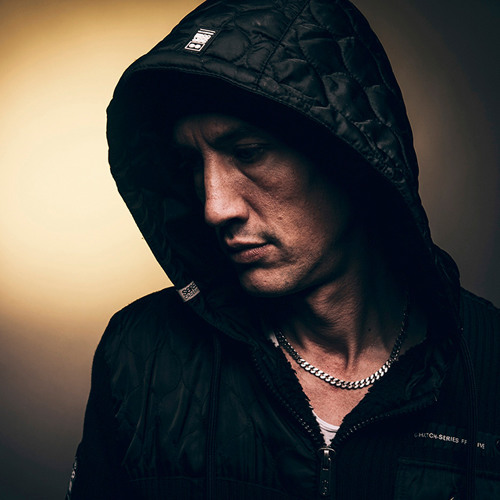 ‘Vagabond’ smashed a lot of preconceptions about him being “just” a Chillout artist, garnering enormous support from an A-list of House DJs, press and blogs. The album dominated the Beatport charts in Summer 2016, hitting #1 in Electronica, #4 in Deep House and parking itself in the #2 slot in Progressive House for weeks. Since then, Nick has been busy on a whole host of new projects, notably collaborating on several productions with godfather of Prog, Nick Warren, for labels including Sudbeat and The Soundgarden. He has also found the time to formulate a whole new imprint, onedotsixtwo, which launched on 1st May 2017 with the release of the 23-track DJ-mixed compilation ‘In At The Deep End’. Through consistent quality-controlled output, and with the remarkable smash ‘Voight Kampff’ (ODST003) from the 2 Nicks, onedotsixtwo has rapidly become a key label to watch for those turned on to top quality, melodic Progressive House. Nick’s reputation as a producer who creates dancefloor magic, along with consistent Beatport chartings and support from the pantheon of A-list DJs, have led him to become one of the hottest remixers of 2018. His unofficial rework of London Grammar’s ‘Rooting For You’ (available for exclusive free download here: https://soundcloud.com/tripswitch) was one of the go-to summer tracks of 2018 having been played all over the world since Miami WMC. And to top it all off, Nick recently completed his first collaboration with Hernan Cattaneo, a remix of Forerunners ‘Magnetic Quartz’ (ODST0007) released to coincide with ADE week. He is now settling down to work on a collaborative project with John Digweed’s studio partner, Nick Muir, details of which will be revealed early 2019.